It’s easy to forget that the word-stacking brilliance of Gucci Mane was not always an inarguable fact. Only a few weeks ago, in fact, when I suggested Gucci Mane should play Robert Johnson in my completely imaginary, never-going-to-happen movie of Alan Greenberg’s literary screenplay Love in Vain, I received an angry “Well, I never”-style rant in my Tumblr inbox. People do not like Gucci Mane. To many, he is a mumblemouth worth discussing only as a symbol of hip-hop’s steady decline. So, before we go any further: Gucci Mane is one of the best rappers alive. By circling the same few topics (the highs and lows of hustling, drug use, a dirt-poor upbringing) over beats that are all a variation on the same sound (twinkling, cheap-sounding electronic bloop loops), he’s become a master of his arch, cartoonish, dope-dealing reality. “There You Go Again,” Slate’s recent “defense of artists who always return to the same themes,” could’ve taken on Gucci Mane’s oeuvre instead of the work of author David Vann and filmmaker Wes Anderson, and most of the same points would apply. Gucci Mane is also deeply troubled. His vices, often turned absurd thanks to his creatively gummy diction and rubbery rhymes, tend to hang around long after the giddy humor subsides and stick to your gut. The chaos swirling inside his brain is often palpable. Every time Gucci’s buzz is up, a string of arrests and screw-ups seem to follow, suggesting a troubled guy and probable drug addict. As Tom Breihan so eloquently and empathetically put it over at Stereogum: “The man has been frantically ping-ponging back and forth between freedom and incarceration for the past few years, often for reasons that are fantastically baroque in their needlessness.” Most of his problems with the law stem from repeatedly not fulfilling the community service required after a conviction for beating a night-club promotor in 2005. More recently, Gucci threw a woman from his car and was caught driving on the wrong side of the road. For awhile, his self-destructive tendencies didn’t seem to really get in the way of his work. But since 2010, much of his potential has been damaged in a swirl of terrible decisions and reprehensible actions. He seems to perpetually reside in an unstable artistic zone where observers view each new mixtape as reason to declare that he’s “fallen off” for good, or that he’s lost to drugs and violence, or that he’s finally returning to the head-down, straight-ahead rapping energy of his mixtape run in 2008-2009. But save for a few missteps here and there — almost always connected to arrests, record-label fuckery, or a combination of the two — the quality of Gucci’s music hasn’t declined all that much. The case for Gucci losing his spark has been greatly exaggerated, but as his troubles finally began to impede his creativity, it did seem like his gifts became more strictly compartmentalized. Sometimes you got the dead-eyed d-boy, other times, the impervious joker, or the mumbling ODB-like savant. On I’m Up, all those impulses and personas bump into one another once again. It’s the latest, best “return to form” in a discography that’s become one return to form after another. 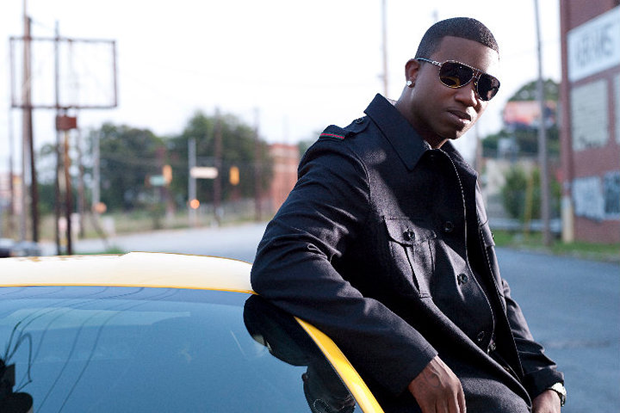 Download Gucci Mane’s I’m Up here.